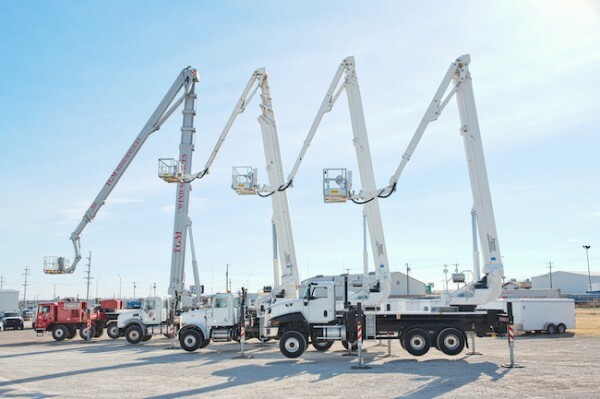 AUSTIN, TX - Kardie Equipment, North America’s largest distributor of aerial work platforms that reach to heights of 295 feet, is pleased to announce the addition of several more Bronto Skylift models to the consignment stock, one of which has already arrived. We are pleased to announce that Kardie Equipment will be exhibiting at POWER-GEN International 2018 from December 4 through December 6. Using booth #2621 as our home away from home, we will be showing off our brand-new event trailer, an entertainment center with games and activities, and the SI197, one of Bronto’s insulated aerial work platforms. Featured for the first time as a member of the Kardie fleet, the SI197 and its informational display will provide attendees an exclusive opportunity to take a look inside and explore all that Kardie has to offer. Kardie Equipment has launched a new page dedicated to our growing gallery of Bronto Skylift videos. We hope to add to our collection of Bronto videos so that you may be able to see our truck-mounted aerial work platforms in action. Check back often for updates as we add more content that shows the safety, efficiency, and effectiveness of the Bronto Skylift. Click here to go to the Bronto Video Gallery. Kardie Equipment will be in the Houston area on February 15th for the SAIA AWP Council's ANSI Requirement Update and Meet the Manufacturer event at the Houston Area Safety Council (HASC) in Pasadena, Texas on 2/15/2018. 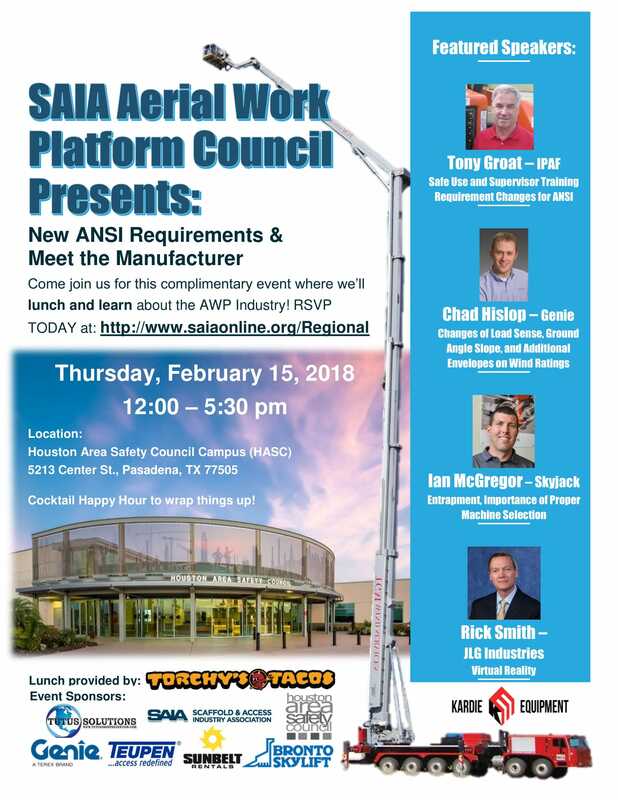 This event will be a lunch and learn with lunch being provided by Torchy's Tacos and a variety of speakers addressing topics vital to the Aerial Work Platform industry. At the conclusion of the lunch and learn, there will be an opportunity to meet with manufacturer reps and see equipment. To close out the event, HASC will be providing an open bar as well. 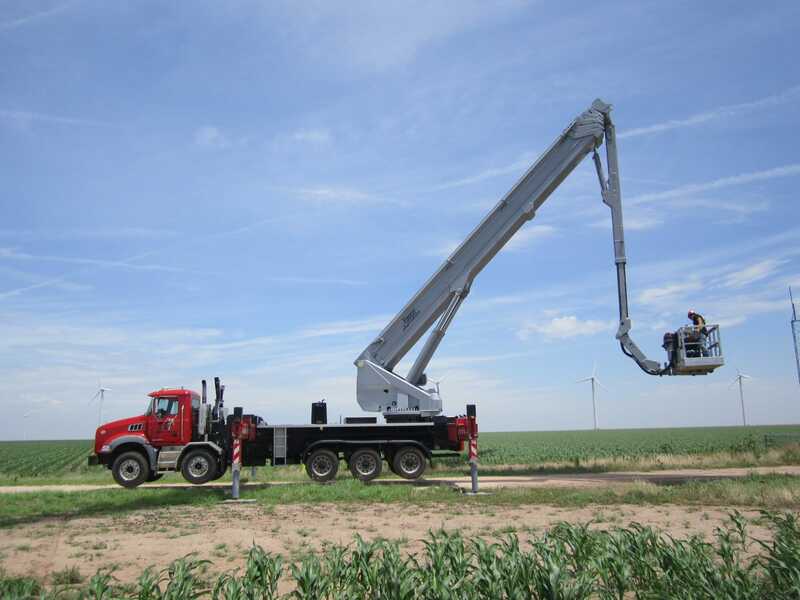 Bronto Skylift, a leading manufacturer of truck-mounted aerial work platforms (AWPs), has named TGM Wind Services LLC, an AWP rental specialist, as distributor for Bronto products in Texas, New Mexico, Oklahoma, Arkansas, Louisiana, Illinois, Indiana, Kentucky, Ohio, and Michigan. 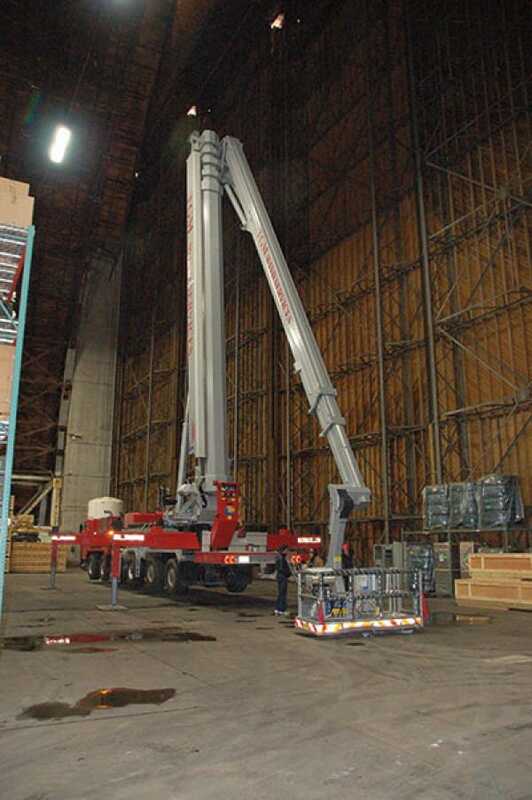 November, 2013—Arcadis US had secured a contract with the US Air Force Air Mobility Command to perform an inspection of the wooden structural support joists in two World War II era hangars at the Naval Air Engineering Station Lakehurst in New Jersey. The hangars were damaged when Hurricane Sandy slammed into the area. 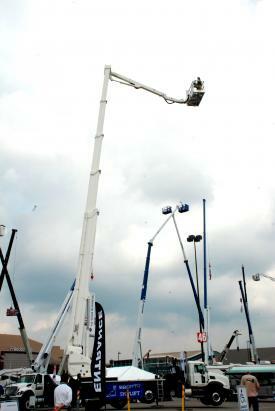 Bronto Skylift North America featured a 230-ft. Model S 230 XTD truck-mounted aerial lift in its display at ICUEE 2013. Get yourselves acquainted with the latest news and updates on Bronto trucks, their sales, rentals and much more. Kardie Equipment will keep you updated. Our posts include stories of jobs our trucks have been integral in completing, events we will be attending, new products, use cases, press releases, comptetitve analysis, and much more.